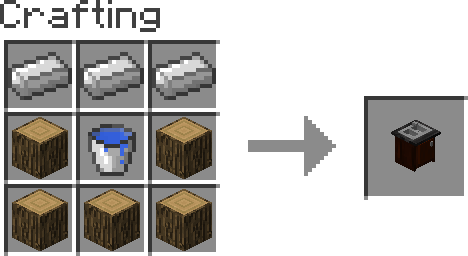 Minecraft does have lots of things, but it did lack a special feature and this particular Cooking for Blockheads Mod does add it right now. 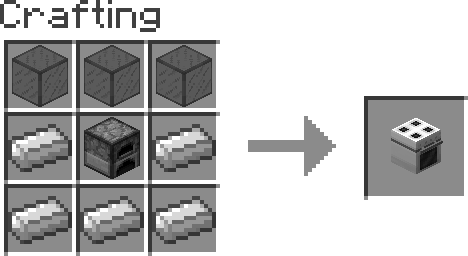 We are talking about a special cooking book filled with new recipes. You can use the Cooking for Blockheads Mod Minecraft in order to become a special cook that will allow you to enjoy your time and have fun as you eliminate the boredom. 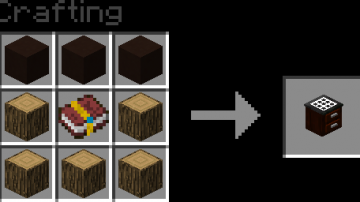 You can also find an updated version of the book and this one can actually help you craft the foods fast. 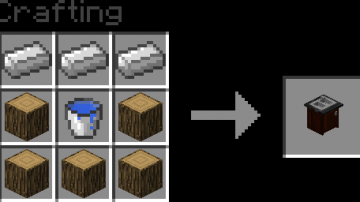 All you have to do is to click on the recipes and they will be done fast with the utmost precision and attention to detail. The important thing to note is that the upgraded version is optional but as you can expect it’s a very good investment and one that will pay off nicely in the long run. 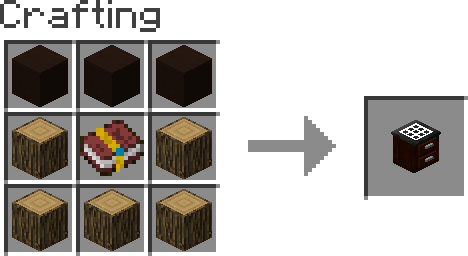 Aside from that, the Cooking for Blockheads Mod 1.11.2 does bring in front some new blocks as well. 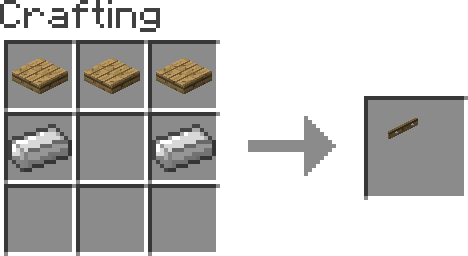 These blocks will be used in order to create a multiblock kitchen structure. 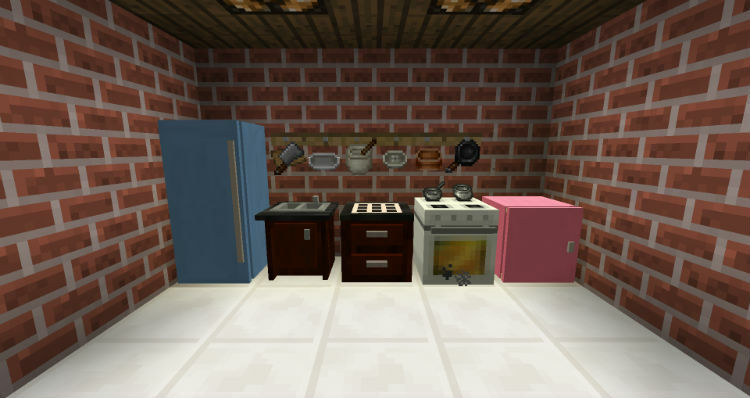 You have a cooking table as well as a cooking oven, a sink and a tool rack. All of these are ingredients that you do expect to see in a modern kitchen and you can find them in this mod as well. Using this product is a lot of fun and you will definitely appreciate the great results that come from using it! 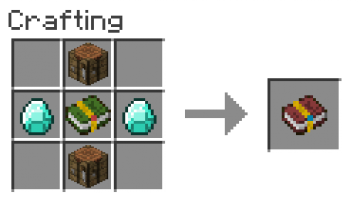 The mod was designed with the Pam’s Harvestcraft in mind and it manages to make the experience less complicated. 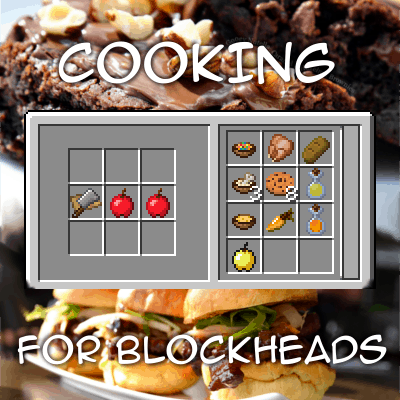 It can be hard for people that like cooking in Minecraft to find the desired recipes as I but the Cooking for Blockheads Mod does make the experience more fun and exciting which is what matters the most in the end. 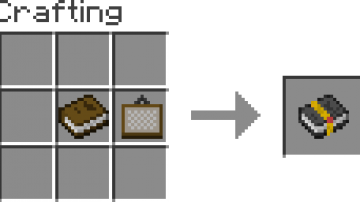 The recipe book can be carried around and having it in the inventory is a massive plus. 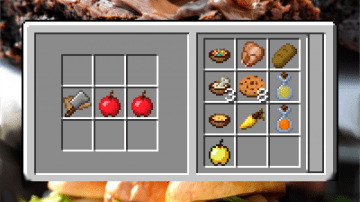 It manages to provide you with a good set of ideas and recipes that you can focus on plus you can obtain an incredible set of results and that’s what matters the most in the end. There are various sorting options that help you see the nutrition value for these so overall you do receive a very good value at all times. 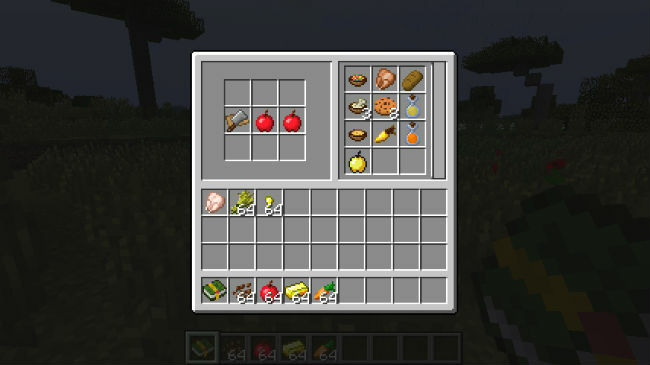 If you are a fan of food in Minecraft, using this mod is a neat idea. It can provide you with new avenues to play the game and it’s a ton of fun. 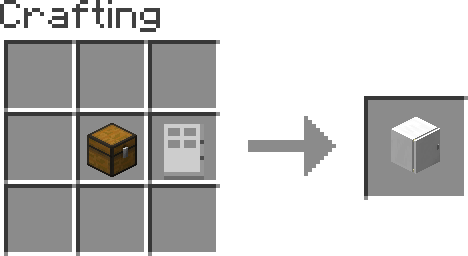 Well worth your time for sure! 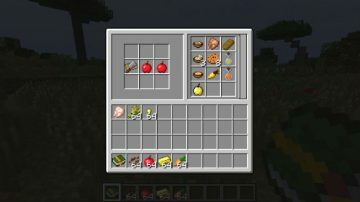 Recipe book to show all food items you can craft or smelt with the things you have in your inventory. 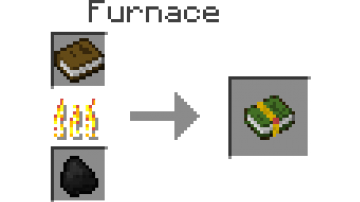 Upgraded recipe book (crafting book) that can also craft the food items with the things from your inventory. 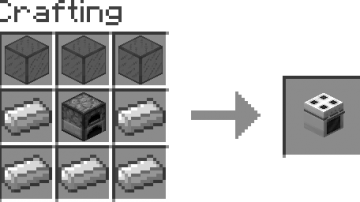 Supports Pam?s Harvestcraft: Pam?s tools will always be considered as available and the weird 1+1=2 recipes won?t show up.